Teeth whitening is something that I would say is definitely on the increase but since it can be quite a pricey procedure at dental surgeries, more and more of us are searching for a cheaper alternative that we can use at home. Today I have a review of a toothpaste which claims to whiten teeth by 2 shades in just 7 days, and costs less than a fiver, interested? I know I was. I am not the only one in our household that has an interest in having whiter teeth, my daughter Alicia or Lissy as we call her has a keen interest tooth whitening too and when I received the Pearl Drops Instant White Toothpaste she was keen to try it, so I asked her if she'd like to be my guinea pig, and she said yes. ~ Has instant shine and gloss for a brighter smile. ~ Has Pro Shine Complex, the latest breakthrough in teeth whitening. ~ The 4D whitening system goes beyond regular whitening toothpastes, using a unique blend of polishing agents to help lift stains and plaque, accelerating whitening by up to 2 shades in 1 week. ~ For teeth so white, they shine. ~ Helps prevent stains forming. ~ Out of 50 people (self assessment) 81% said the toothpaste made their teeth visibly whiter, and 77% agreed it boosted shine and lustre. ~ It is gentle and safe for everyday use. Lissy checked her teeth against the shade card and we decided her teeth were around a 5, so already quite white anyway. She used the toothpaste 3 times a day as directed for 7 days. 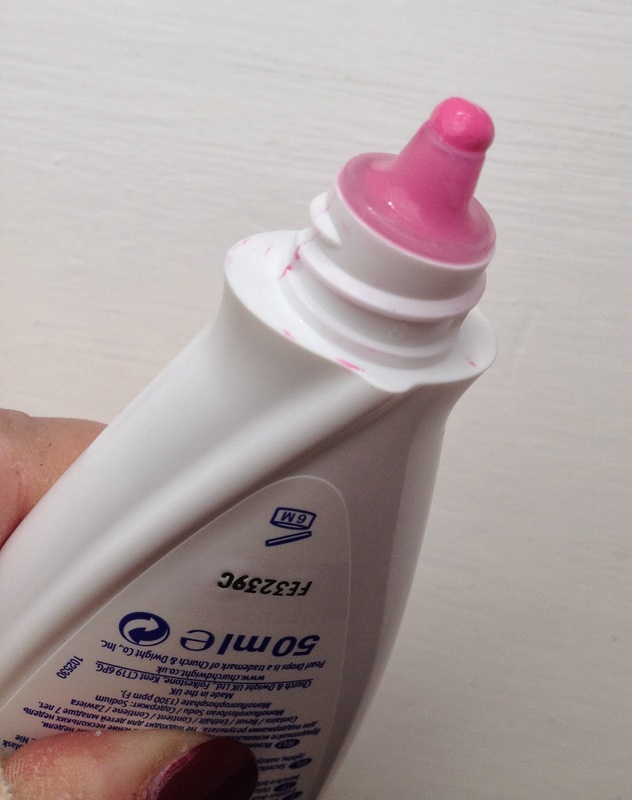 The toothpaste is bubble gum pink in colour and Lissy said it tastes just like regular toothpaste with a minty flavour. One thing Lissy did notice is that her teeth felt sensitive at the tips of her teeth after she had been using the toothpaste for a couple of days, this continued until she had finished using it, it wasn't something that bothered her or was very painful but something she noticed especially if she breathed in cold air or had a cold drink. 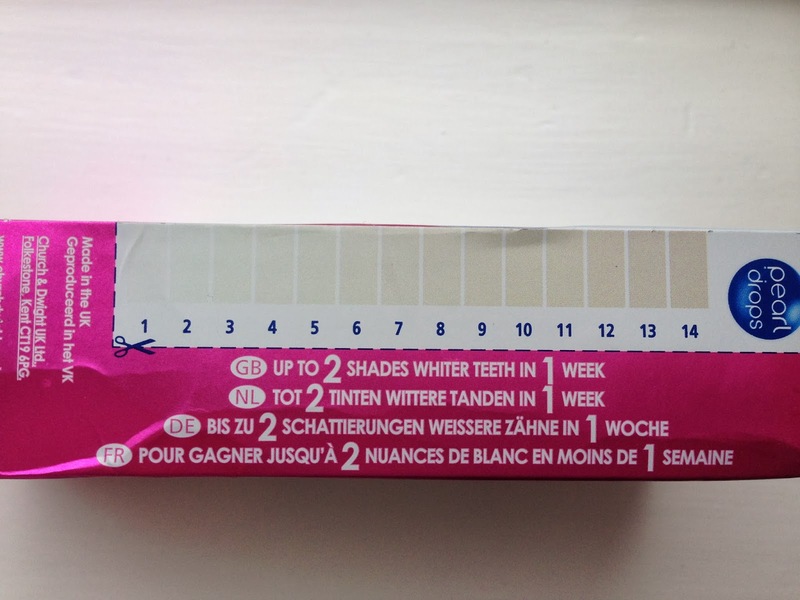 After using the toothpaste 3 times a week for 7 days we checked Lissy's teeth against the shade card and her teeth were a 2 so they had gone from a 5 to a 2, which is 3 shades whiter, a fantastic result. Lissy and I were both really impressed with the difference, I was very sceptical to be honest when I read the claims of 2 shades whiter but both Lissy and I were pleasantly surprised. This isn't a long lasting teeth whitening product but for a wedding or any sort of special occasion where you want quick results without much effort this product is a definite must have and for the price I think it's a great product. I am going to try it too so I will let you know how I get on and if I have the same results as Lissy, my teeth are a lot less white to begin with than Lissy's so it will be interesting to see the results I get. I would definitely recommend this product, it gives grey results fast with little effort. Both myself and Lissy have tried the Crest 3D Advanced Whitening Strips but neither of us liked them, they tasted horrible, and we didn't see any difference despite using them every day for a week and we were both left with painful and sensitive teeth. 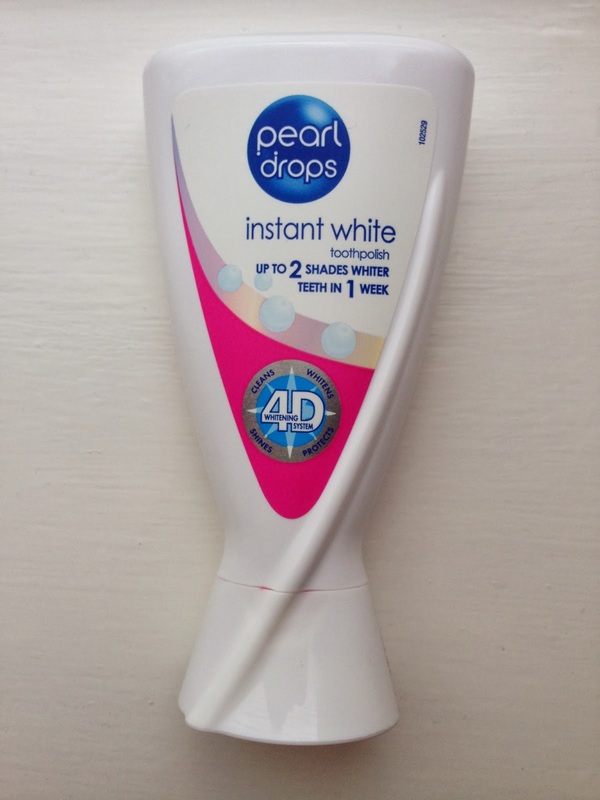 Have you tried the Pearldrops Instant White? What did you think? Are you interested in teeth whitening products? Thank you to my gorgeous Lissy for being my guinea pig, she's a lovely guinea pig don't you think? *pr sample, all opinions and words are mine and Lissys.